Join Mark Fewer on Sunday, May 24 at 2 pm as he delves into the majesty and complexity of one of Bach's finest choral works, the Mass in B minor. This work will be featured in the 2015 September festival, and we encourage patrons of the festival and anyone with an interest in choral music to take this lecture in. Mark's vast knowledge of classical music repertoire and his engaging, accessible presentation style are well known to SweetWater audiences. Treat yourself along and some friends to what will be an entertaining and very informative event. 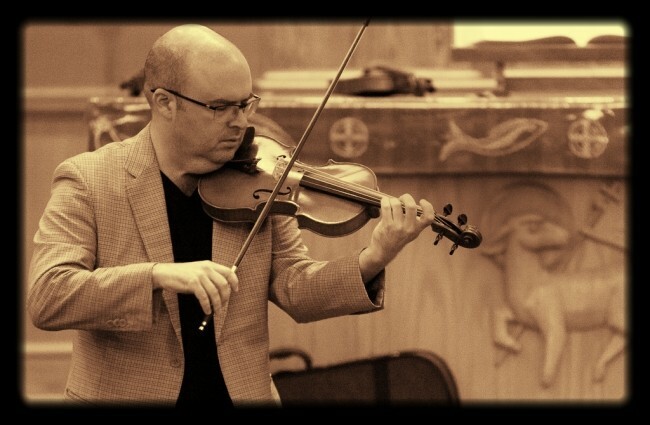 Mark Fewer is “(a)s comfortable as a raconteur as he is with a violin . . .” says Christopher Thomas of MusicWeb International, and anyone who has had the opportunity to experience Mark in performance or giving an artist talk can attest to that. Join us at the SweetWater Music Festival as Mark brings a new level of understanding to Bach’s masterpiece, the B minor Mass, which is a centerpiece of the 2015 September Festival.